The average German did not want to know what happened to their Jewish neighbor just like many today do not want to know about the murder of the unborn. This is an hour long video telling the story of the Prince of Preachers. Spurgeon was but a man but a man used of God. This video too was produced by men so there are some parts you and I may not agree but as a whole it is worth watching. Melissa Ohden’s story is worth three minutes of your time! This young woman is an abortion survivor! 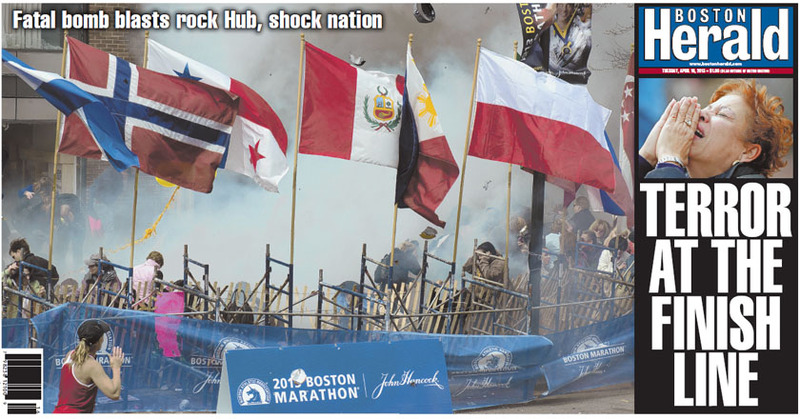 The Boston Marathon tragedy was no doubt in my mind an act of terrorism for whatever reason. However, here in Australia the programme my wife and I were watching to keep up with the news of the bombing said at least three times (it was probably more like five times) that the act may have been committed by Christian fundamentalists or white supremacists. Later in the day another station had a panel discussing the bombing and one person on the panel said it may be found that it was someone who was opposed to gun control or homosexuality. Today the man who occupies the White house says it might be related Tax Day! Those statements are very interesting in that most (and we emphasize MOST) acts of terrorism around the world are committed by those of the Islamic faith. Not ONCE was that mentioned on either of the programmes we were watching! Why do those in the mainline media seem to desire the worse on “Christian fundamentalists”? Now it may have been white supremacists, or those who profess to be “Christian”, but it may also be some from the Islamic faith. My thought was why did they mention any group? Do the media believe if they say it enough it will be accepted as the truth? Is the media hoping it isn’t those of the Islamic faith? Let’s take a look in the Scriptures and see what they have to say. First, the Lord Jesus said in John 15:20 “Remember the word that I said unto you, The servant is not greater than his lord. If they have persecuted me, they will also persecute you”. So why do we who have professed the Lord Jesus Christ as our personal Saviour think we might be treated differently. As C. H. Spurgeon said “Let us not reckon upon easy times. We are servants of a Master who lived amid reproach and died upon a cross. How can we expect those who crowned Him with thorns to crown us with roses?” So one reason why the mainline media seem to denigrate Bible fundamentalist Christians is because their Saviour was despised and maligned. Secondly, would true Bible believing born again fundamentalist Christians do such a murderous atrocity? After His resurrection and just before His ascension the Lord Jesus told His disciples “ye shall be witnesses unto me both in Jerusalem, and in all Judaea, and in Samaria, and unto the uttermost part of the earth” Acts 1: 8. A true Christian’s life is to witness of Him “Who did no sin, neither was guile found in his mouth” 1Peter 2:22. People are not brought to faith in the Lord Jesus Christ by the sword (bomb) but by being a faithful witness in living and faithfully proclaiming “the word of God, which liveth and abideth for ever” 1Peter 1:23. Thirdly the Scriptures admonish the true Bible believing fundamentalist Christian not to “suffer as a murderer, or as a thief, or as an evildoer, or as a busybody in other men’s matters” but rather “that ye suffer for well doing, than for evil doing”. Fourthly a true Bible believing fundamentalist Christian would know their Bible and that there is no such thing as whites being superior for God “…hath made of one blood all nations of men for to dwell on all the face of the earth” Acts 17:26. Fifthly a true Bible believing born again fundamentalist Christian knows there is evil in the world for “by one man’s (Adam) disobedience many were made sinners” and that “…out of the heart proceed evil thoughts, murders, adulteries, fornications, thefts, false witness, blasphemies”. However, the world with its intellect and wisdom tells us there is no God and that the creation account given in the Bible is a myth and that man is a result of evolution rather than special creation so this EVIL must be looked at through another set of glasses. There are more Scriptures that could be noted but for now we will wait and see if the culprit of this monstrous act is caught and justice served BUT one thing I already know is; it was not committed by a true born again Bible believing fundamentalist Christian no matter what the media may tell us here in Australia.